In nature, it can be easier for us to le – This. Only This. 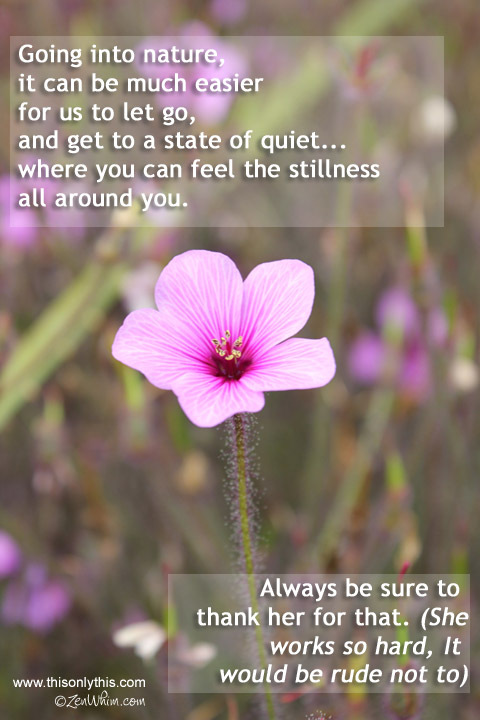 In nature, it can be easier for us to let go and get to a state of quiet, to feel present. Nature is my root. My teacher. My reward.